How much is Greg Bryk Worth? Greg Bryk net worth: Greg Bryk is a Canadian actor who has a net worth of $3 million. 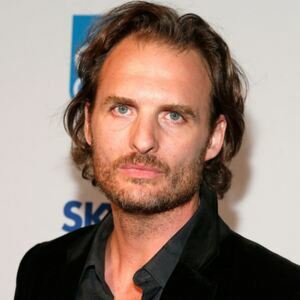 Greg Bryk was born in Winnipeg, Manitoba, Canada in 1972. He studied at the Queen's University at Kingston where he won the Vanier Cup playing football as a linebacker. Bryk has more than 80 acting credits to his name including starring as Weston Field on the television series ReGenesis from 2004 to 2008. From 2011 to 2012 he starred as Amos on the TV series XIII: The Series. Greg Bryk starred as Jeremy Danvers on the series Bitten from 2014 to 2016. He began starring as Cobbs Pond on the television series Frontier in 2016. Byrd has also had recurring roles on the TV series Tilt, Cra$h & Burn, Aaron Stone, The Expanse, Mary Kills People, and Caught. Bryk has starred in several films including A History of Violence, The Incredible Hulk, Saw V, Saw 3D, Immortals, Lost & Found, and more. In 2010 he was nominated for a Gemini Award for Deadliest Sea.